We Are Motivating the Masses!!! 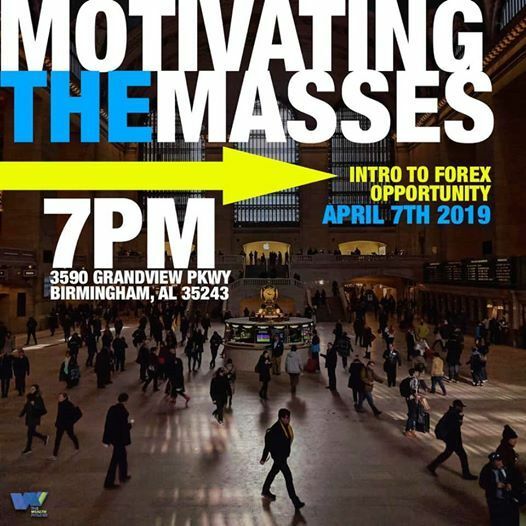 I know you’re wondering what is Forex!?? Maybe you should show up and find out. This is a FREE event! So you have no reason not to show up! 2019 is about Growing in Knowledge and Wealth! 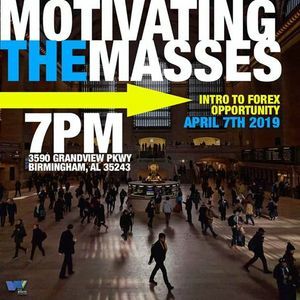 So why not come find out what @WeAreForex__ is about! Save the Date: April 7,2019 @ 7 p.m.